The Solobservatoriet of Harestua is a small but well-known solar observatory near Harestua, located about 40 km nortwards Oslo, Norway. 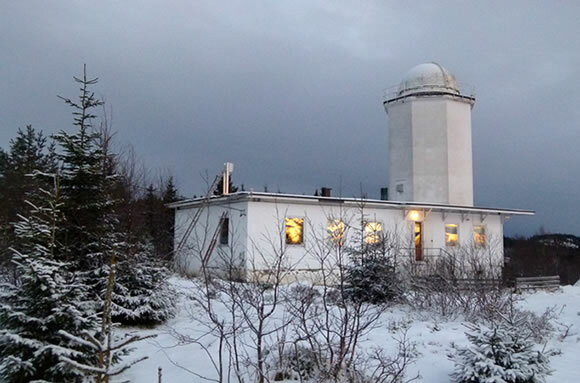 Subordinated by the University of Oslo, it was used for solar research purposes from 1954 to 1986 but now, it is mainly dedicated for public courses. Harestua is part of the NDACC network as a complementary station. BIRA-IASB operates there fully automated zenith-sky DOAS instruments since 1998. The station is also equipped with a high-resolution FTIR spectrometer operated by the Department of Radio and Space Science, Chalmers University of Technology, Gothenburg. 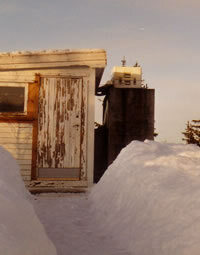 BIRA-IASB ground-based activities at the complementary NDACC station of Harestua (Southern Norway, 60°N) started in January 1994 with the first phase of the SESAME campaign (January-April 1994). From Augustus 1995 to December 1995, BIRA-IASB contributed to the validation of the GOME instrument on board on ERS-2 launched in June of this year. In June 1996, the instruments moved from Harestua to the Observatoire de Haute-Provence (OHP) to participate to the NDSC/SCUVS 3 intercomparison exercise. BIRA-IASB came back to Harestua in December 1996. From January 1998 to April 2013, the same two UV-Visible spectrometers operate continuous measurements of NO2, O3, BrO and OClO. In November 2012, a new generation instruments has been installed to take over the old ones. The instruments in place since January 1998 were composed with two spectrometers mounted together in a temperature regulated box. The first one, equipped with an Hamamatsu photodiode array, is optimised for the BrO and OClO detection; the second one, equipped with a Reticon photodiode array, measures NO2 and O3 in the visible region. The detectors are cooled at -40°C in order to obtain a good signal to noise ratio. The new instruments are built on the same design but the box with the spectrometers and the CCD detectors is now inside the building. Measurements are operated using optic fibers. NO2 and O3 vertical columns are averaged for each twilight, sunrise and sunset in the range of solar zenith angles of 87°-91°. BrO and OClO differential slant columns are averaged in the range of solar zenith angles of 88°-92° for BrO and 89°-93° for OClO. BIRA-IASB provides the CALVAL (http://nadir.nilu.no/calval/index.php) and the GEOMON (http://www.geomon.eu/) data bases with these data in HDF format. The O3 times series and the NO2 times series cleaned from tropospheric signatures are also available on the NDACC data base in NASA-AMES format.